Black public safety security coaches jacket is made up of 100% nylon outer shell material. The jacket is fleece lined from inside. 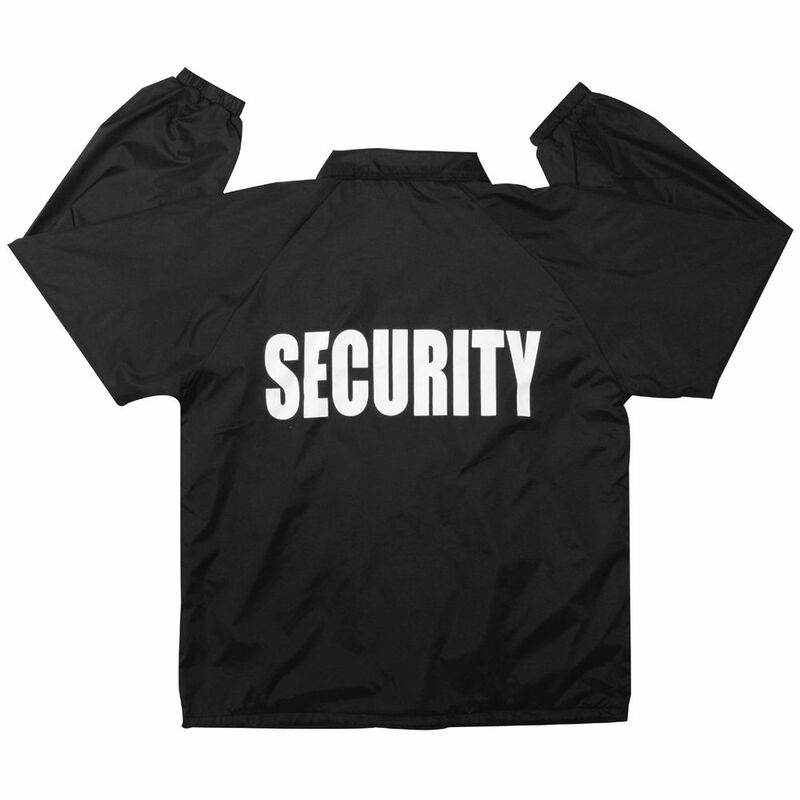 Also the jacket has imprint “SECURITY”. This is imprinted in white color on the back of the jacket. The collar of the jacket is self adjusted collar. The jacket also features drawstring bottom and this is not the pull strings. It also comprises of two front pockets. On top of the jacket the one thing that works like a charm is the elastic cuffs. There are various sizes in which this jacket is available. The jacket is highly comfortable and light in weight.